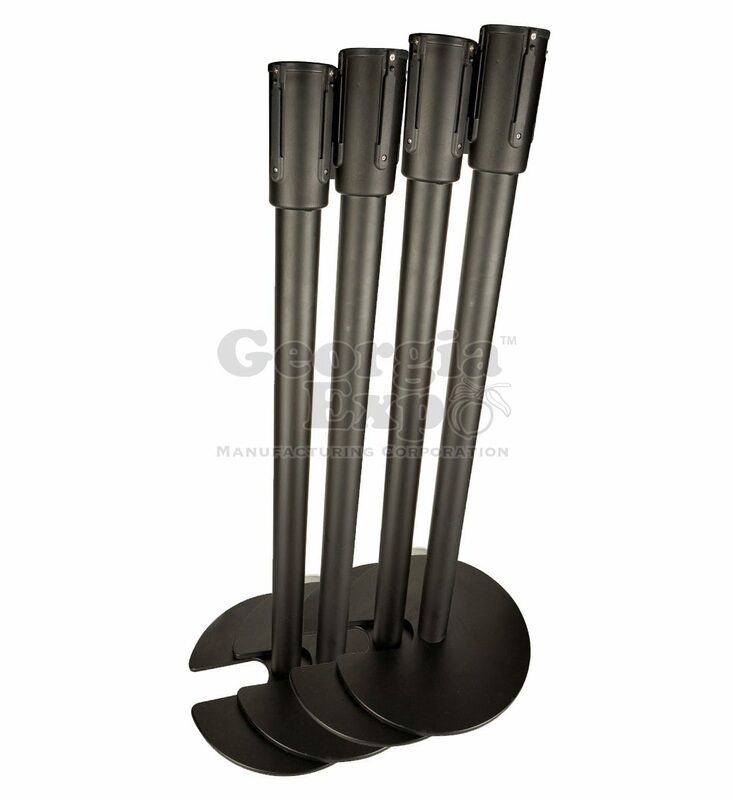 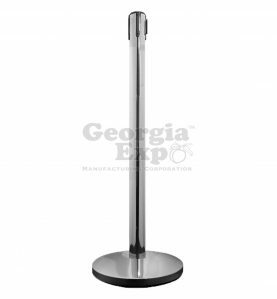 Revolutionary design, these stanchions feature a stacking slot in the base so the stanchions can be neatly stagger-stacked when not in use making storage more efficient and giving a more professional and “kept” appearance. 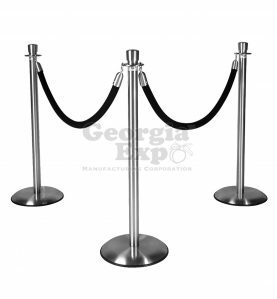 Hate the piled up stanchions in the corner or the space stanchions take up when they aren’t being used? 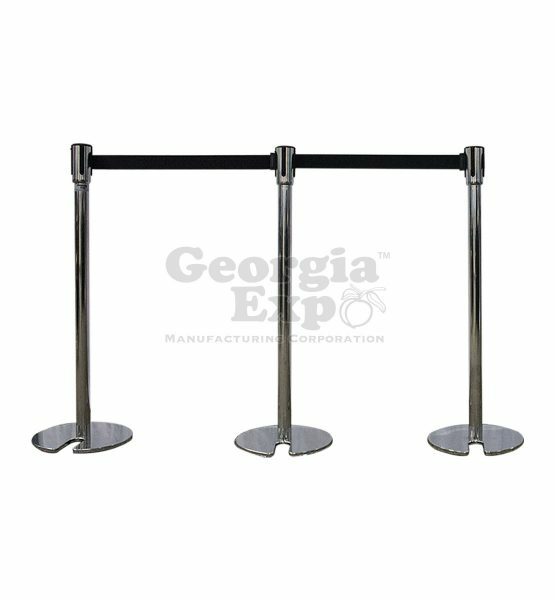 Our stanchions feature a stack able base so when stanchions aren’t in use they can be neatly stagger stacked saving space and looking great! 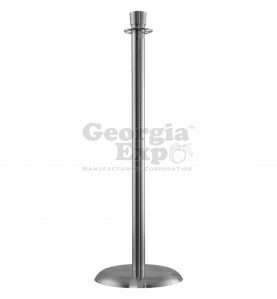 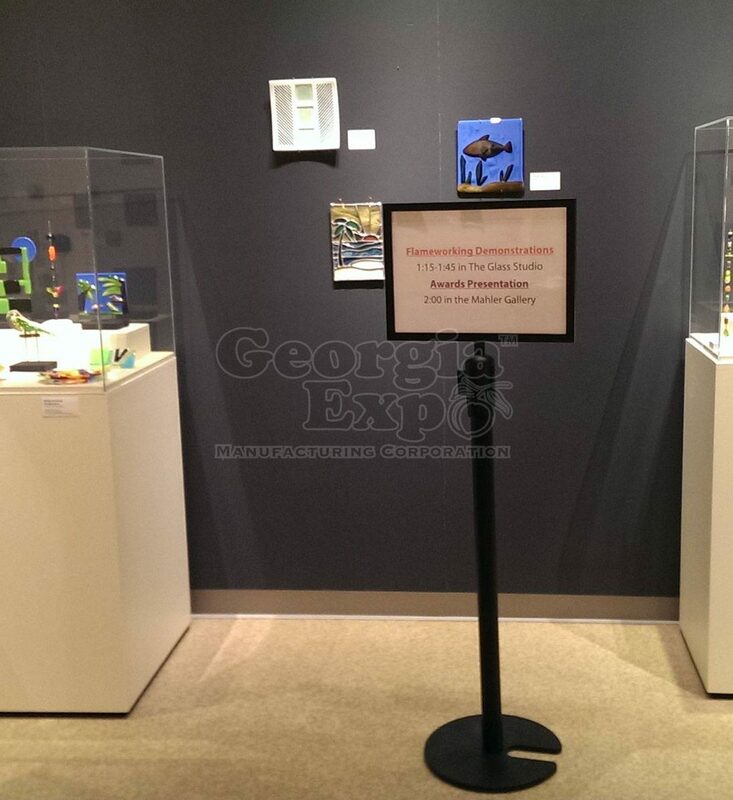 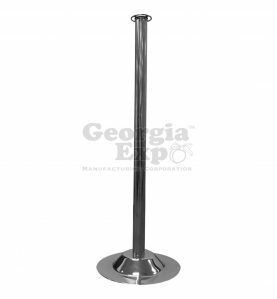 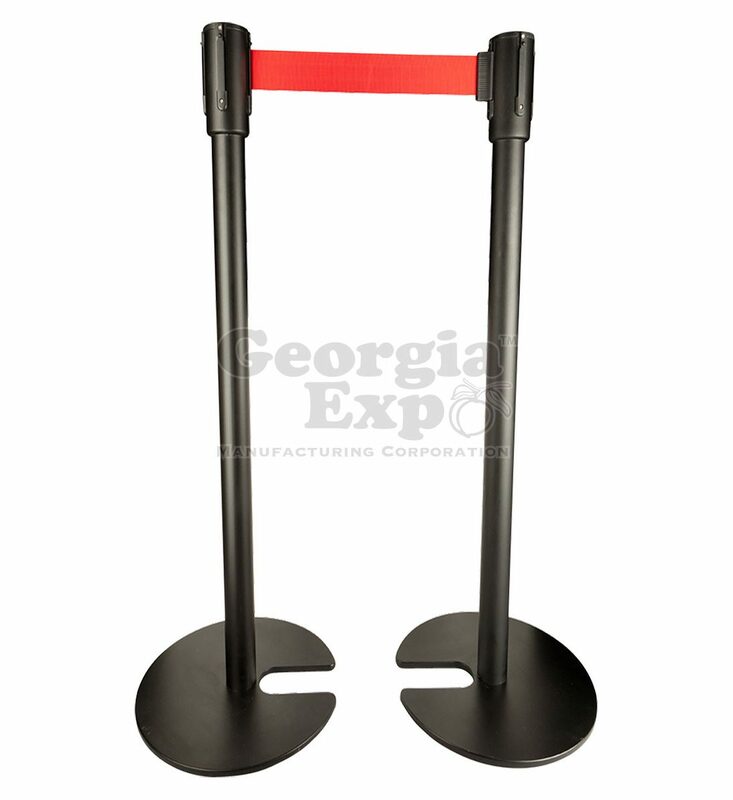 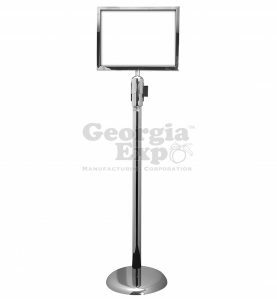 This stanchion is available in black powder coat or a polished chrome finish with either a red or black belt. 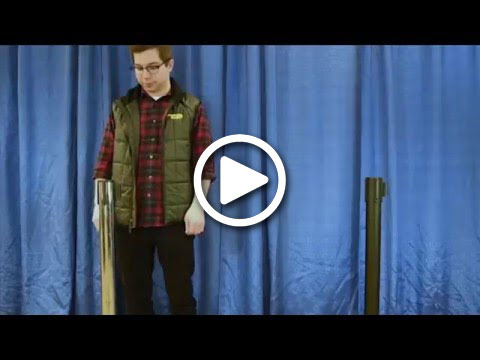 Stanchions are designed to be set up 6′ apart. 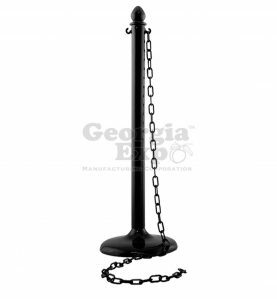 These stanchion can also convert to support a rope if the occasion calls by simply adding our Universal Ring. 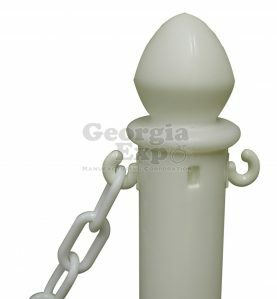 Just unscrew the head piece, place the ring on the post and screw the head piece back on. 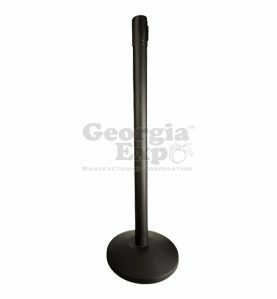 This listing if for a single unit but the posts are packed 2 per box so for most efficient shipping please order in pairs.